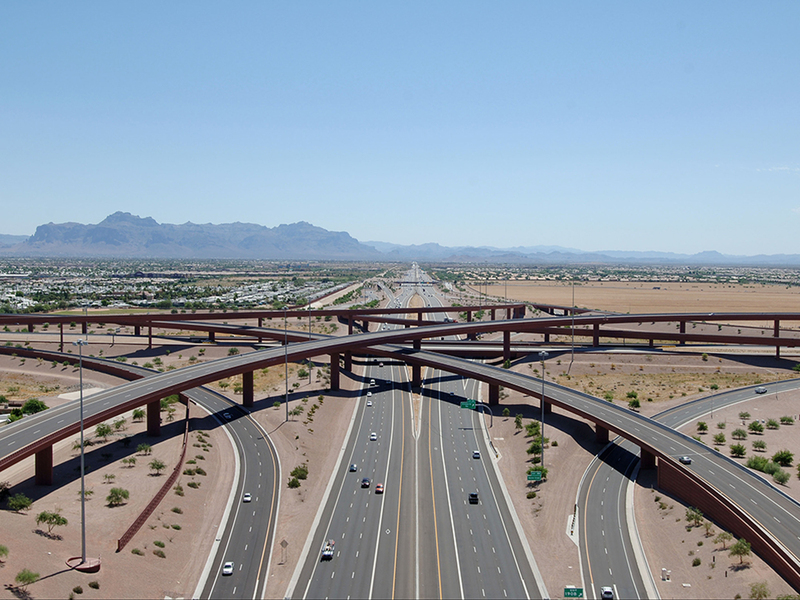 SR202L/US60 “SuperRedTan” Interchange | AZTEC Engineering Group, Inc. SR202L/US60 “SuperRedTan” Interchange | AZTEC Engineering Group, Inc.
AZTEC served as prime consultant for the final design of this multi-level, multi-directional interchange connecting SR202L (Santan/Red Mountain Freeways) with US60 (Superstition Freeway). 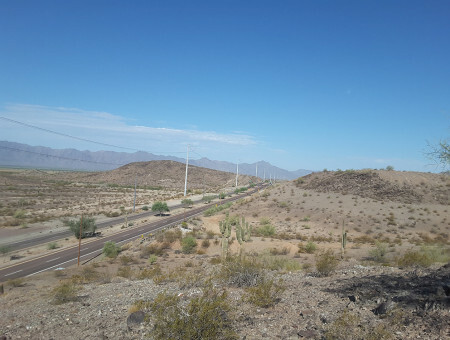 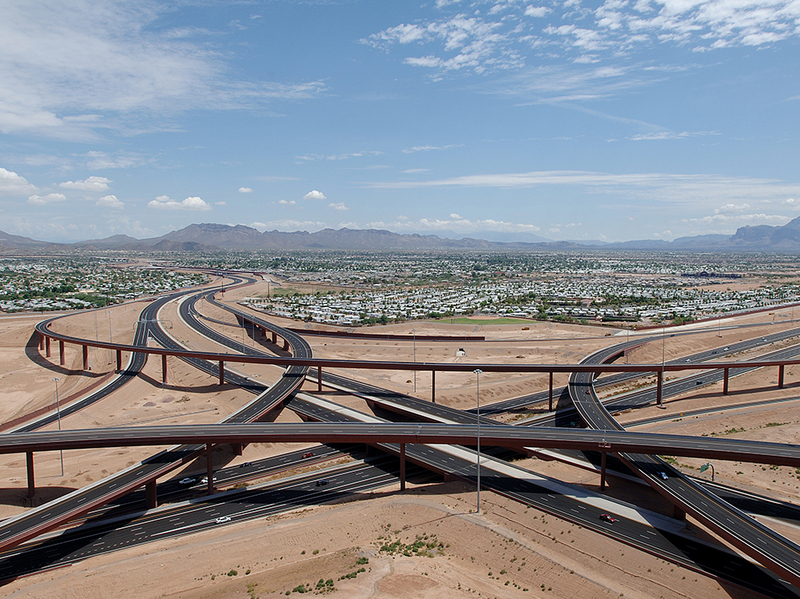 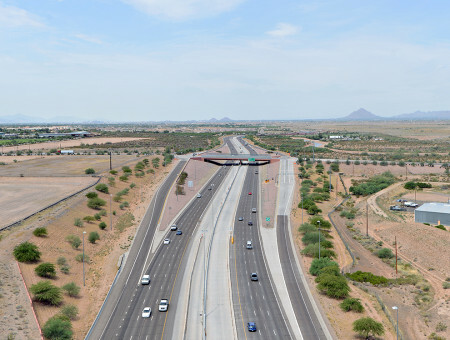 This project involved widening three miles and reconstructing a half mile of US60, constructing one mile of six-lane freeway for SR202L, constructing 12 bridges plus sound and retaining walls, modifying three bridges, on- and off-site drainage, traffic engineering, utility relocations, and developing construction sequencing plans. 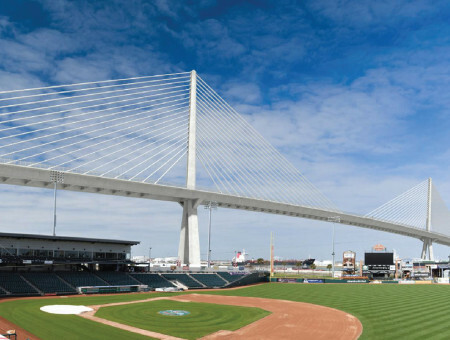 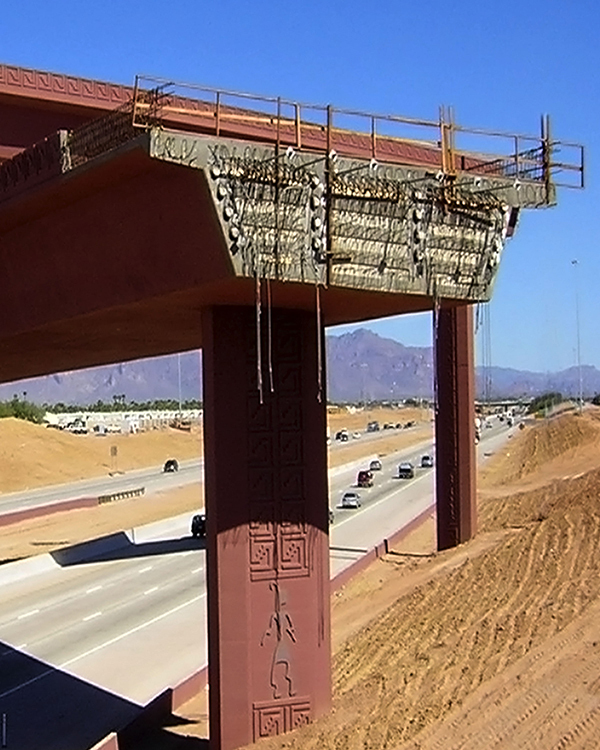 Because of the size of this project, it was divided into two separate construction packages. 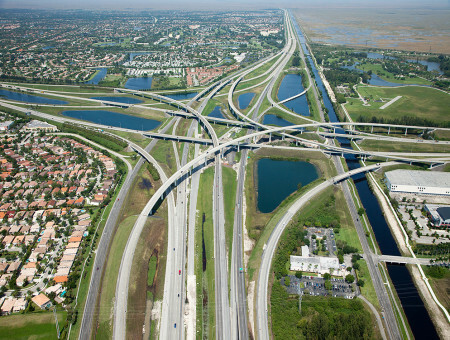 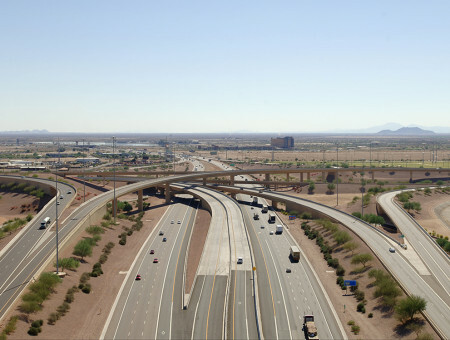 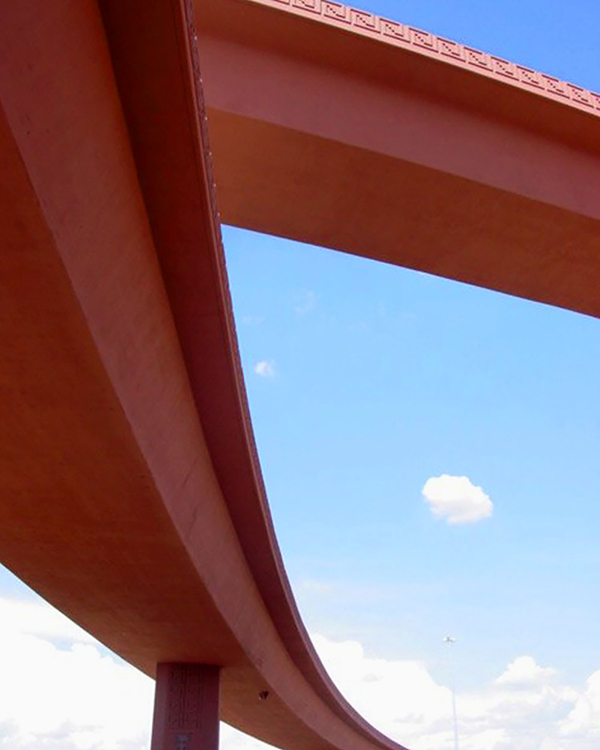 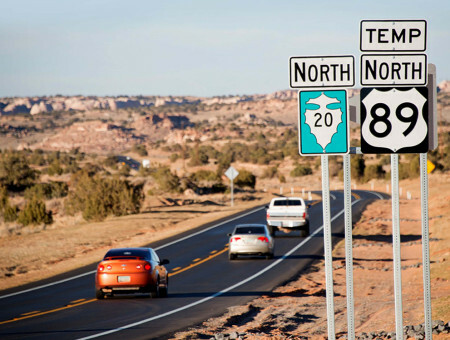 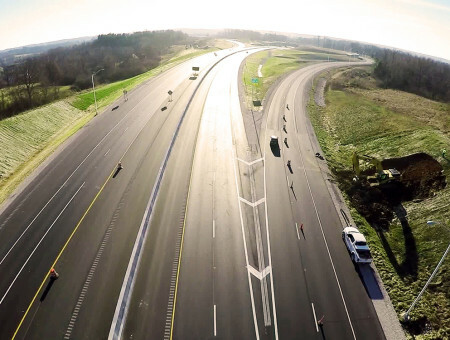 A key design feature of this project was to utilize the majority of the existing conveyance system along US60 as possible to reduce costs. 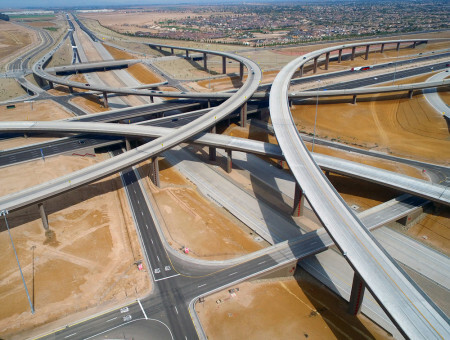 In addition, AZTEC also provided utility coordination, utility designating and locating services and dug 150 test holes for the final design of this freeway-to-freeway interchange.